Finding asbestos in your home or property is an unwelcome discovery, no matter what stage of the building or renovating process you are at. As building owners know, asbestos is a highly dangerous material that demands expert handling and management. Thomas Consultants is one of New Zealand’s largest and most experienced asbestos management teams. Our dedicated specialists can support you with your project, be it big or small, from start to finish. 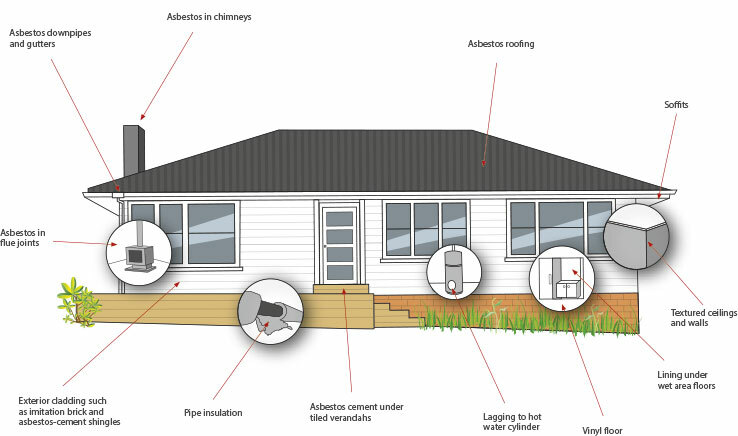 Asbestos contamination is a common issue in New Zealand, especially in properties built between 1940 and1990. As well as inside buildings, it is also often found in soil as a result of dumping or demolition of buildings. If you find asbestos, or what you think may be asbestos, it’s important that it is dealt with by specialists. Our qualified staff have the experience and expertise to provide the level of service you need. To fully understand the extent of asbestos contamination on your site, we will conduct a site survey which is then used to produce a site-specific asbestos register. This register can cover individual buildings or your whole site. Once the scale of any issue is identified, we can then guide you on the best way to proceed. This involves creating a detailed management plan. This means that you can be sure that the highest safety standards are met throughout the process. The solution might involve full removal, isolating the asbestos or sealing it off completely. This planning process, along with clear and regular communication, is central to our approach. In addition, Thomas Consultants is one of the few companies in New Zealand that offers both professional engineering and asbestos services. This means we bring knowledge of areas such as consenting, engineering and contractor supervision issues to your project. This can lead to significant cost savings overall. If you would like help with a project or would like to learn more about what we can offer, we would love to hear from you. Please call Simon Ness on 027 966 0101 for more information.